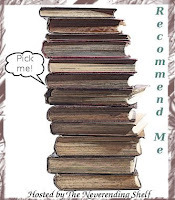 Recommend Me is a weekly event in which you pick one of your all time favorite reads to share. This could be a book that you read as a child or even finished yesterday. -- your favorite memory related to the novel... the possibilities are limitless. Summary from Goodreads: Forget everything you think you know about faeries. . . . Creatures full of magic and whimsy? Not in the Oakenwyld. Not anymore. I couldn't participate last Friday, due to the snow we got in New York. My internet decided not to work and I wasn't able to be online at all. So this week, I'm cheating and using the book I was going to recommend last week. I love Spell Hunter by R. J. Anderson (it is known as Knife in the U.K., so I have included both covers). It is a book that made me really think while I was reading it. I had to go back and re-read at certain points to make sure that I really understood what was going on. But, that made reading Spell Hunter even better. I love how R. J. Anderson created such a complete world inside the great Oak and then a completely different world outside of it. Then the two worlds came together, when Knife left the Oak and met Paul. And speaking of Paul, his relationship with Knife was so sweet. They were really well matched and suited for each other. All the little details really add to the richness of the setting and make for a great reading experience. Spell Hunter was recommended to me by someone who knows R.J. Anderson, so I was slightly skeptical at first. But, once I read the book, I was blown away by how good it is! I am very much looking forward to reading Wayfarer (Rebel in the UK) and the third book, Swift (this is the UK title, I haven't been able to find the US title). I would definitely recommend Spell Hunter to anyone who likes to read stories about faeries. 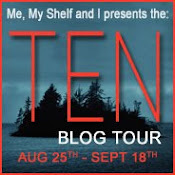 You will definitely enjoy this book if you liked Wings by Aprilynne Pike. Oh! I've never heard of this book before, but your review makes me want to pick it up! I loved Holly Black's take on faeries and ever since I've not been able to get away from a book that has them in it. So, I will definitely be looking into this one! Thanks! i love the review. it's just like another tinker bell story *LOL* reading your review surely boosted up my curiosity.thanks for the recommendation! I have seen this book around. But never really heard much about it. It sounds really good though. Holly Black got me hooked on faeries, add this book sounds like a great addition. Great Reccomendation!!! I'd never heard of this, but it sounds great! I like those covers too. I'm adding it to my list. Thanks for the rec!